So here's the dealio. 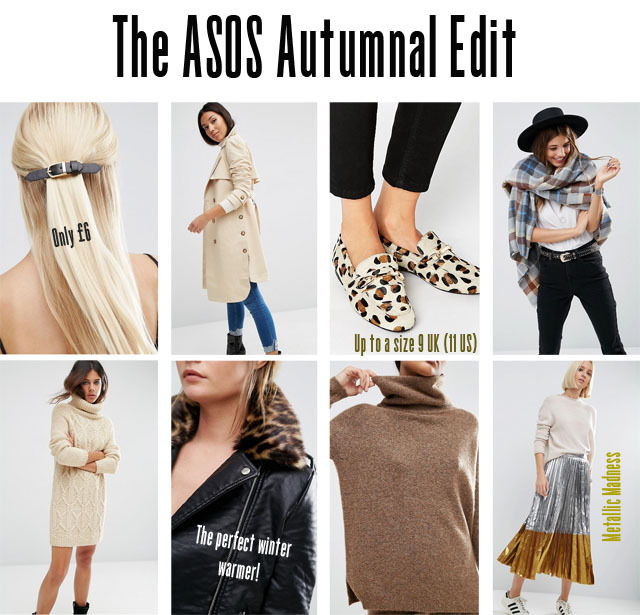 Over the past couple of weeks I have heard from a number of people that they are always seeing amazing ASOS pieces in my collection but never have time to keep up with the constant level of new product being added to the ASOS site on a daily basis. Eureka... an idea is born! Over the next few months I'll be putting together a weekly edit of ASOS new arrivals in the hopes of sharing the great opportunities for growing your closet in the way I have over the past few years. It's true that there are endless finds on this site, and my job is going to be making sure you don't miss any that could be potentially detrimental down the line. There's nothing worse than asking "where did you get that adorable tee?" and having someone answer "oh, grabbed it last month on ASOS." Chances are it's long gone. So take this edit as your style bible, as such, so that nothing falls through the cracks again... all shoppable through an easy scroll below! Enjoy!